The surface of Mars, new research suggests, is 2 percent water -- yet another reminder that the Red Planet may once have been blue. The Curiosity rover has found water in the soil of Mars. Which is, on the one hand, big news: Water! Right in the soil of the seemingly barren planet! 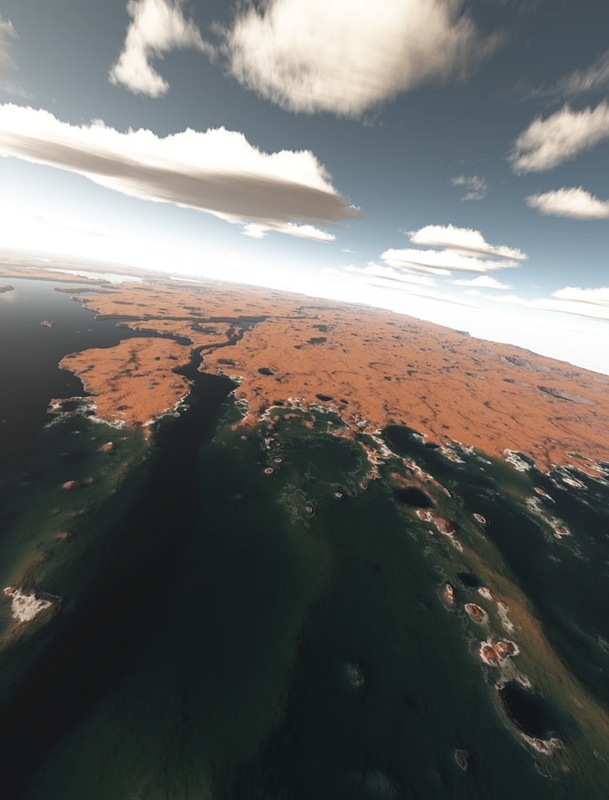 On the other hand, though, it's news that isn't terribly surprising: Scientists have long speculated that Mars was once Earth-like in its capacity to host water. And the planet, of course, is already known to host both ice and snow at its poles. Still, though, the water detected in the soil (in this case, of the Gale Crater, the area the rover is exploring) is a big deal -- a confirmation of yet another way that Mars and Earth are more similar than it may appear to the naked eye. 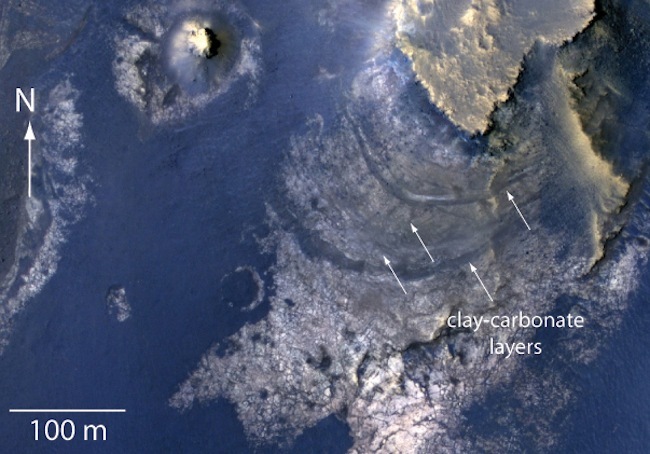 The news came via a series of five papers published in the journal Science -- the first set, The Guardian's Alok Jha notes, "of formal, peer-reviewed results from the Curiosity mission." The papers offer details of the scientific experiments Curiosity carried out during the first four months it spent tooling around on the Martian surface. And investigations into the planet's water content were among them. 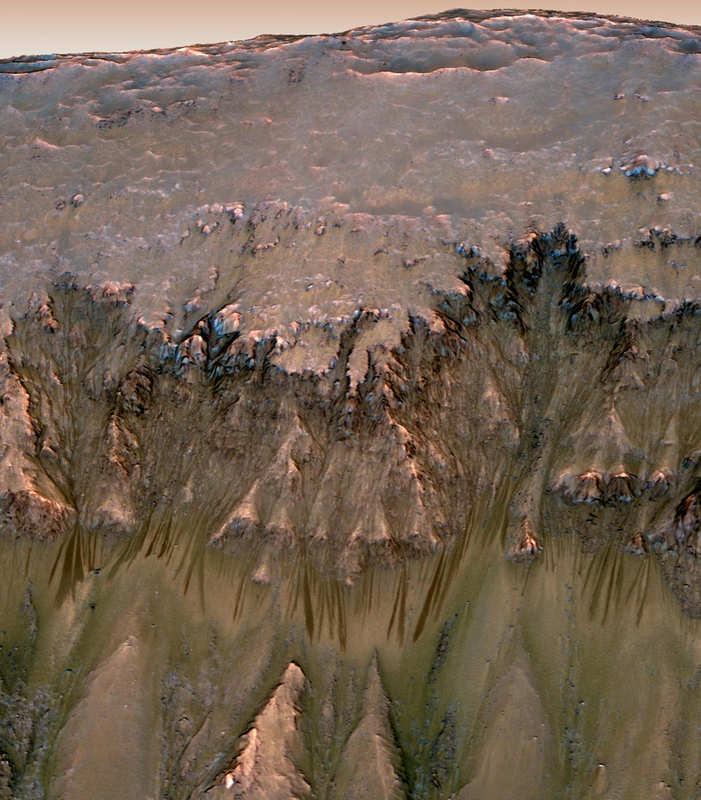 How much water, actually, is present in the soil of Mars? A decent amount, it seems. According to Laurie Leshin, the dean of science at Rensselaer Polytechnic Institute and the lead author of the Science paper that confirmed the existence of water in the soil, "If you took about a cubic foot of the dirt and heated it up, you'd get a couple of pints of water out of that." Which is, she notes, "a couple of water bottles' worth that you would take to the gym." (NB: Don't take Martian water to the gym.) 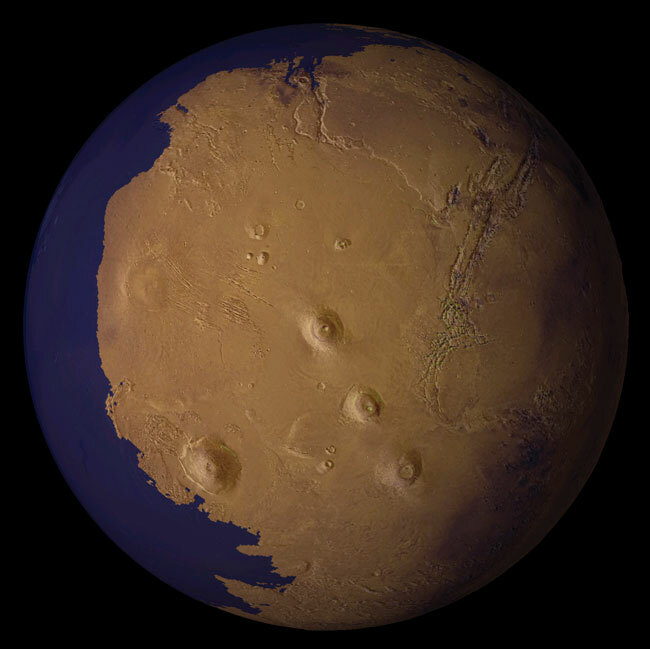 Overall, Leshin and her colleagues estimate, the Martian soil contains about 2 percent water by weight. Which is still arid by Earth standards ... but moister than nothing. 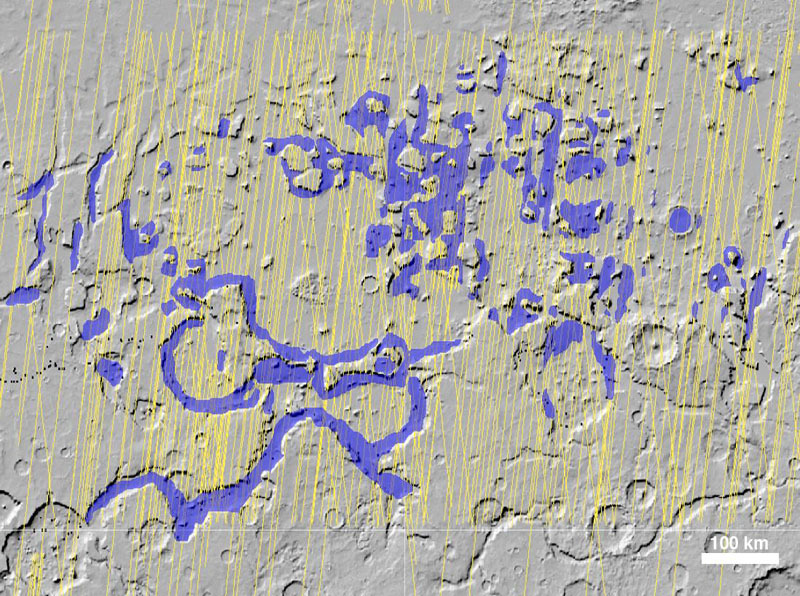 It means that if you're looking for water on Mars, as Leshin puts it, "You don't need to go to the polar caps. You don't need to dig way down deep." 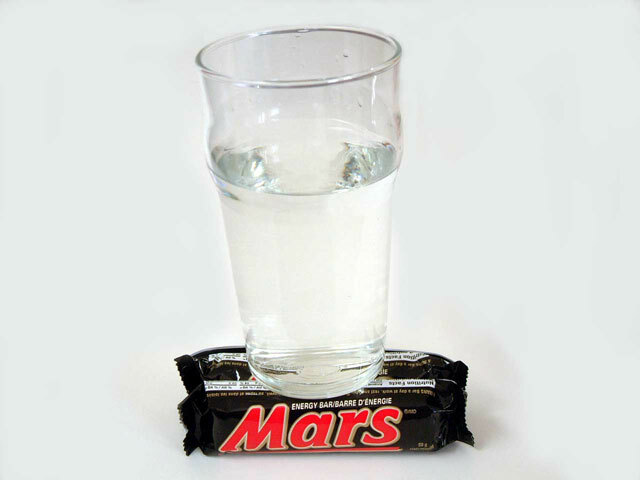 So: Let's celebrate the newly detected Martian Moisture! With photos! 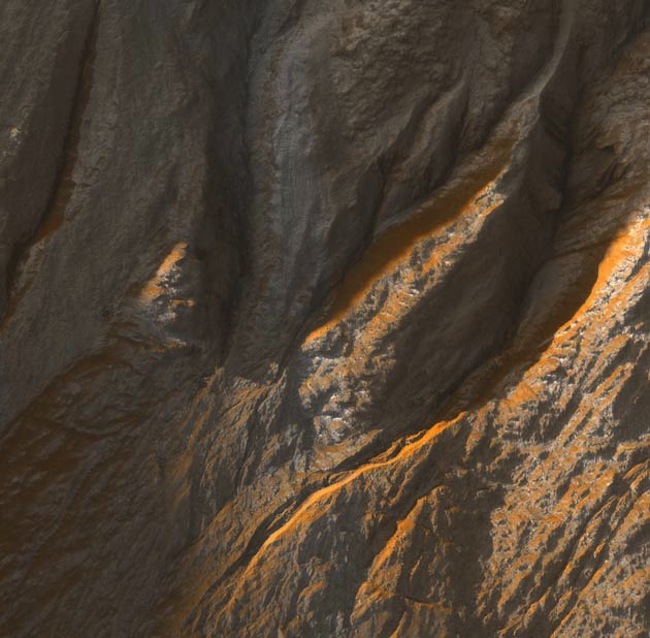 Below, culled from Space.com's wonderfully lengthy image collection, a retrospective: Water on Mars -- as we've witnessed it, as we think it to be, and as we imagine it once was. For more, see the full (and amazing) 34-image slideshow.